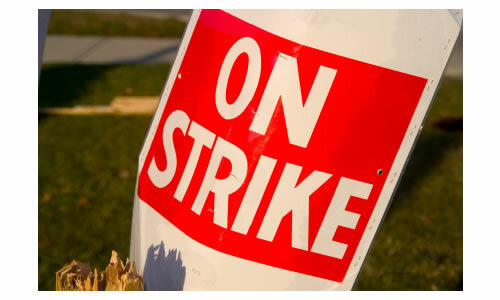 THERE are strong indications that the strike by polytechnics lecturers, under the aegis of Academic Staff Union of Polytechnics, ASUP, may be called off today, as members of ASUP’s National Executive Council, NEC, hold an emergency meeting, to appraise the situation.The polytechnic lecturers have been on strike for the past 80 days. ASUP Chairman, Dr. Chibuzor Asumogba, while speaking to Vanguard, yesterday, said “there has been a green light on the Consolidated Tertiary Institutions Salary Structure (CONTISS) 15. The emergency ASUP NEC meeting, which holds at the Labour House in Abuja, is sequel to the intervention of the Joint House Committee on Education into the strike. The committee, the Minister of Education, Professor Ruqayyatu Rufa’i and his Labour and Productivity counterpart, Chief Emeka Wogu, had met with the union on July 9, urging them to call-off the strike. It would be recalled that ASUP, among other reasons, went on strike citing the failure of the federal and state governments to implement agreements on issues affecting polytechnic education. ASUP wants a full implementation of CONTISS 15 and a stop to discrimination against holders of the Higher National Diploma. The union is also protesting the absence of a National Polytechnics Commission and the deplorable condition of many polytechnics in Nigeria.